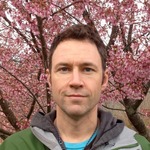 I am a USDA National Institute of Food and Agriculture postdoctoral research fellow at the Gund Institute for Ecological Economics at the University of Vermont, where I study how mycorrhizal mutualisms between blueberry plants and fungi affect attractiveness of flowers to the bees that pollinate them. During graduate work, I discovered that chemicals naturally present in flower nectar and pollen can reduce bee parasite infection, and I have been thinking about bee disease ever since. I also contribute to efforts that address declines of bees and other pollinators, which includes serving on Vermont's Pollinator Protection Committee. I am co-author of Bumble Bees of North America: An Identification Guide.